Real estate is a term that refers to land and the permanent buildings located on it. By its very nature real estate is local, and it has been said that the three most important considerations in real estate are "location, location, and location." The real estate profession is regulated in each state by a state real estate commission, and each state has a realtor association that serves its members' interests. At the local level, franchised and independent real estate agencies serve the interests of home buyers and home sellers. A local real estate agency has one or more full-time or part-time real estate agents. A real estate agent assists homeowners in selling their homes and assists home buyers in finding homes that meet their requirements. The real estate agent who represents the home seller is known as the Listing Agent while the agent who represents the home buyer is known as the Selling Agent. Regional Multiple Listing Services are generally established by local Realtor associations in order to facilitate the real estate market in a particular city, county, state, or even a multi-state region. A regional MLS combines the listings for the available real estate properties in a local area. Information about each property is entered and maintained in a single directory database that is normally available online to licensed real estate agents and, in limited form, to the general public. Real Estate brokers traditionally charge the Seller a six (6) percent commission to list a property in the local MLS. The Listing Agent and the Selling Agent each receive a portion of this commission. LocalRealEstate.us provides access to selected real estate resources and directories for each state in the United States. You will find national and state real estate associations, state real estate commissions, and real estate franchises as well as information about buying and selling a home. Some form of real estate regulation exists in every state of the USA, and it is prudent to review a state's real estate regulations before buying or selling a home in that state. Walker, L. (1996). 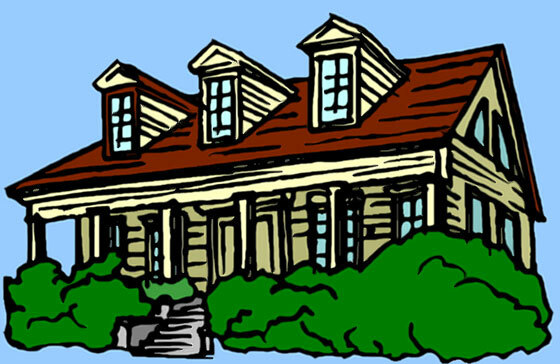 American Shelter: An Illustrated Encylopedia of the American Home . Woodstock, New York: The Overlook Press. National real estate councils and organizations in the USA. Professional real estate associations in each US state. Official state government real estate departments and commissions. Leading nationally-franchised realtors and real estate agencies. Find local homes for sale or rent as well as home finance and moving information at this popular real estate website. Browse the home improvement and home decorating resources and read the gardening and landscaping articles. Official site of the National Association of Realtors™. Let local real estate agents know about the home you wish to buy or sell so they can address your specific requirements. They will send you customized responses including their credentials, business experience, and local real estate market knowledge. Featured listing. Find homes and other real estate listings in each state of the USA. Directory of selected real estate agencies, real estate listings, and realtor resources in each US state. Real Estate Word Cloud - real estate information and bibliography. 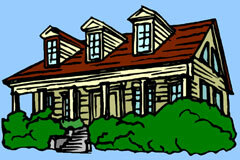 Real Estate News - recent news headlines about real estate. Commercial Real Estate - office, retail, and industrial real estate. 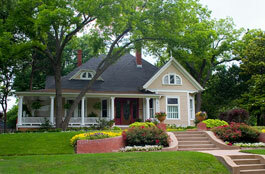 Farm and Ranch Real Estate - agricultural real estate information.